Subject:While trying to find their way into the upper Williamette Valley, emigrants traveled an alternate route that started in present-day Vale and traversed the desert near this site. 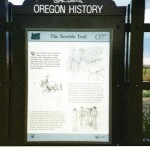 Weary Oregon Trail emigrants, eager to ease travel or gain mileage, often attempted cutoffs and shortcuts. While many of these alternate routes proved successful, others did not–they became roads to ruin for some and the end of the trail for others. 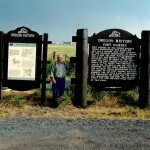 In 1853, Elijah Elliott, a Willamette Valley settler, convinced over 1,000 people to attempt a shortcut over the Cascade Range. Following Meek’s route to Harney Valley, Elliott’s party diverged around the south shores of Harney and Malheur Lakes. Continuing westward, the party became disoriented. As the emigrants became increasingly desperate, scouts searched ahead for water and a route over the mountains. Eventually, scouts located a crude road over the Willamette Pass. One year later, William Macy led 121 wagons along a similar route without serious difficulty. 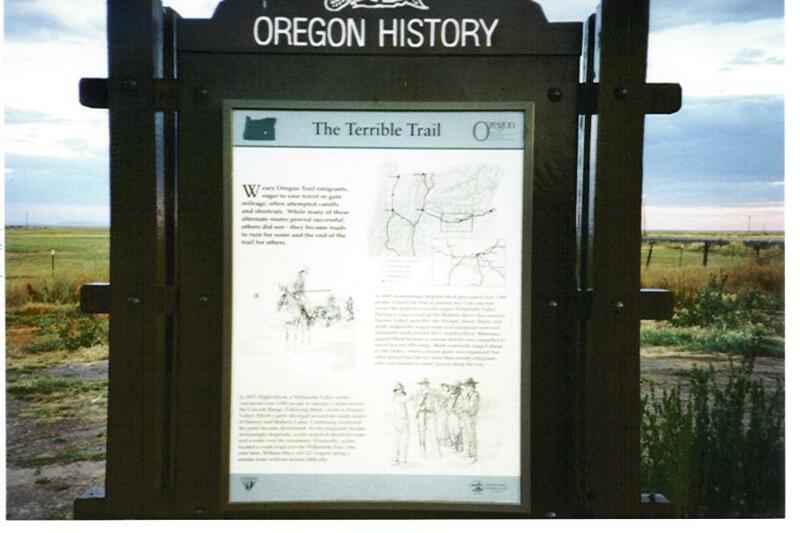 In 1845, frontiersman Stephen Meek persuaded over 1,000 people to leave the trail at present-day Vale and trek across the desert toward the upper Willamette Valley. Blazing a wagon road up the Malheur River they entered Harney Valley, near this site. Hunger, thirst, illness, and death stalked the wagon train as it wandered west and ultimately north toward the Columbia River. Bitterness against Meek became so intense that he was compelled to travel beyond rifle range. 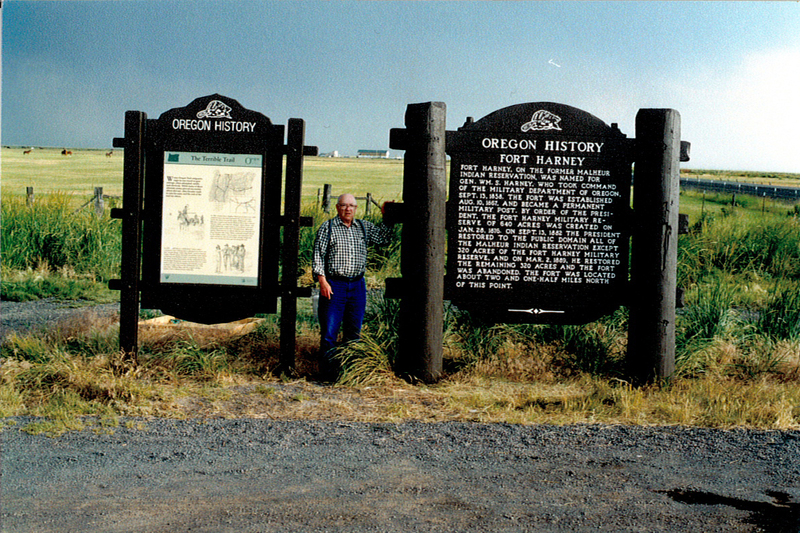 Meek eventually forged ahead to The Dalles, where a rescue party was organized, but relief arrived too late for more than twenty emigrants who were buried in lonely graves along the way.